Last week, our RBE 4th graders were creating an iPad project about the Dust Bowl. They have been studying this period of time in Social Studies. I worked with the 4th grade team on developing this project and gave them some Dust Bowl resources from the library like Out of the Dust by Karen Hesse and The Storm in the Barn by Matt Phelan. Then I helped with the technology component as well. The students were charged with the task of creating a postcard in the form of a letter that stated facts about the Dust Bowl, but those facts had to me incorporated in the postcard as if they were there and experiencing the Dust Bowl. Below are the 4th grade classes by teacher. 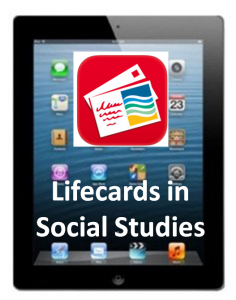 Check out their Lifecards and see their awesome work!